Dying the hair is maybe one of the most extreme changes in anyone’s look, but it can be very dangerous for the hair: must protect it. Have you ever thought about hair dying? A process that a few years ago was just used to grey hair covering is now a common practice to define your own style, in the same way as buying a new jacket or wear new earrings. There is no problem about it, because every person looks better in some colours than others, depending on different factors as the skin colour, the hair length, etc. 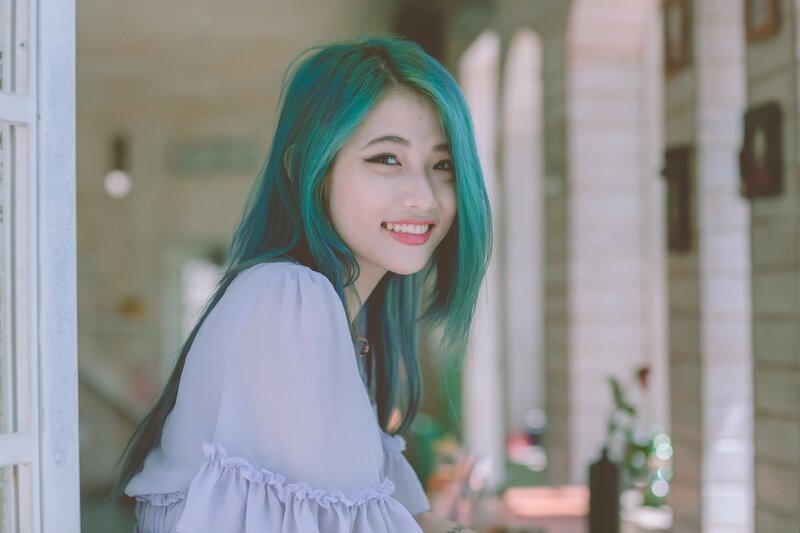 However, there’s a huge difference compared with the clothes or accessories: hair is a natural fiber which is part of our body, and therefore you must be very careful with the way you apply dyes and decolorations. What dyes and decolorations do on the hair and why they damage it? But, why must you be careful? After all, there’s no big difference with painting any skin zone, is it? Actually, dying o decolouring the hair has nothing to do with colouring or decolouring any skin zone: each hair is an extremely thin and delicate fiber, which has some resistance and elasticity, but extremely suffers the interaction with the chemicals of which the dye is composed due to its natural keratin composition. 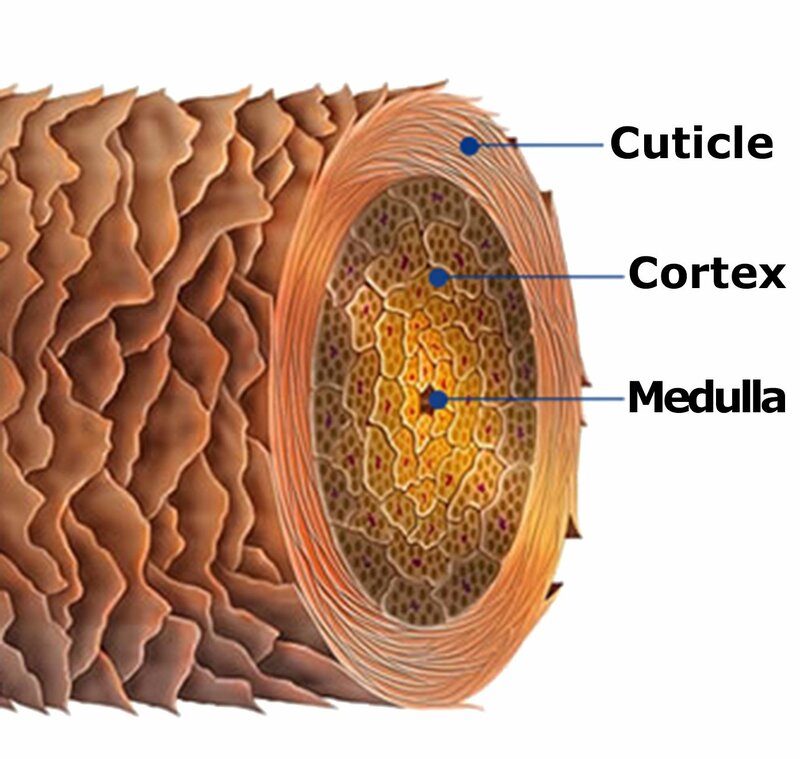 The hair fiber is divided transversely in three layers: medulla, cortex and cuticle. The medulla is a central tube which goes all the way inside the hair from root to end, and comparatively is much thinner than the other two parts. The cortex is the main body of the hair and, therefore, is where all the treatments which take care of the hair fiber act, especially the dyes. The cuticle, the external layer, is the protection barrier of the hair, which is formed by scales, and that’s why everything that wants to do something on the hair cortex has to go through the cuticle. Most of dyes, to have a long-lasting result on the hair, don’t just apply the stain on the cuticle because, if they did, the dye will disappear in a few washes: what they look is to get through the external scales until the hair cortex and act there. However, this process, applied for colorations or decolorations, makes the powerful chemicals to weak the cortex of the hair and turn it weaker, because they degrade the disulfide bridges that maintain the hair stable and resistant. This can lead to a easily breakable and falling hair when different treatments are applied in the same hair. Long story short: the dyes or oxydants are aggressive chemical treatments that, when repeated, can make the hair fall. Does that mean that if I have thin hair I cannot colour / decolour it? Not necessarily. The hair thickness fairly influences its resistance. The important thing is the hair health in general, and especially in the capillary cortex. If the hair cortex is weak está débil, because of a chemical treatment accumulation or for any other reason, it is not advisable use a dye as usually; but when the cortex is healthy, regardless of the hair type, shouldn’t be a problem at all. On the other hand, measuring the cortex hair is easy: a weak hair is easily breakable and the tips are usually opened. Despite everything, the best is asking for advice to a professional, as your regular stylist. I have a weak hair but I want to dye / decolour it. Is there a way to do it? Yes. At KV-1 we’ve developed a hair protective system which reinforces the internal bonds of the hair to improve its health and resistance, especially designed to prevent and restore the damage produced bye dying processes in the hair cortex and cuticle and thus protect the chemical stressed hair integrity: the Oneplex professional system. It is a three steps system for the stylist or hairdresser to protect the hair of its customers while applying the colouring or decolouring treatment. First, the Bond Multi-Booster is mixed with any kind of colouring product to fortify the already existing hair health and prepare the way for the next product to act. This is the Clean & Maintenance: a stain respectful shampoo that ensures the effect of the previous hair mask and eases the way for… The third and last step: the Bond Perfect Sealer, an intensive anti-breakage treatment that reinforces the hair internally, protecting it against external aggressions. Using our Oneplex system, the hair can change easily from a colouring result to another, or reinforcing a weak hair that in any other case wouldn’t have been able to receive a chemical treatment without breakage risk. Take a look to it in our website and recommend it to your stylist, if it doesn’t has it yet, because it is an essential product to any styling salon that wants to apply dyes or decolorations. Thanks to it, you could free yourselves of concern and just choose which is the better colour for your style, always maintaining the health of the hair. We hope you liked this article. If you did, share it with your family and friends, and follow us in our social networks.